In 1983, the company opened its doors as Computer Network Services (CNS), a personal computer focused Service Company. Building and operating one of the first Class 100 Clean Rooms in the Northeast gave CNS a competitive advantage among all other computer repair companies. The Clean Room provided CNS with an opportunity to partner with PC Hard Disk Drive (HDD) manufacturers such as with Maxtor/Miniscibe. This experience aided in the development and expertise in which CNS reverse engineered the repair capabilities for many other drive manufacturers. The company soon grew into one of the largest HDD repair centers in the world. This technical competency allowed CNS to continue their growth within the repair industry, including IBM Personal Computers and peripherals. CNS was a key player in IBM’s early years of production. 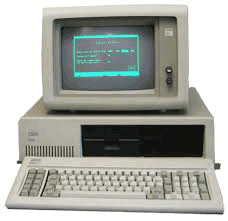 This included some of IBM’s first devices, including the IBM XT, AT, and PS/2 related equipment (Motherboards, Power Supplies Floppy Drives, Keyboards). CNS also had their hands on some of the first printers and monitors in the industry, including the Dot-matrix and CRT monitors. As the company experienced much growth and change, a new name was developed: PanurgyOEM. In more recent years, PanurgyOEM has performed work on Thermal, Dye-Sublimation and Inkjet printers, as well as cutting-edge LCD monitors and video signage. CNS’s reputation exposed it to many manufacturers who realized advantages to partnering. As a result, new services were offered as the business expanded. PanurgyOEM has transformed as a service provider by offering refurbishing and reverse logistics services, aiding in exchange programs, and even liquidation. We are ISO9001:2008 certified and employ lean, Six Sigma driven processes and procedures focused on quality, continuous improvement, and delivering the highest possible levels of quality. 5S is an approach to workplace organization. It reduces costs, increases sales, and makes the business more agile in an ever changing environment. The 5 S’s are based on the Japanese words seiri, seiton, seiso, seiketsu, and shitsuke which transliterated means sorting, setting in order, shining , standardizing, and sustaining. These 5 S’s are the basic formula for achieving product diversification with zero changeovers, higher quality with zero defects, lower costs with zero waste, reliable deliveries with zero breakdowns and improved safety with zero injuries. Using the 5S principles, we can reduce inventory, reduce lead times, increase capacity, and improve productivity.